How would you like to watch the St. Louis Cardinals play the Cincinnati Reds at Busch Stadium? Enter now through April 25th at noon for your chance to win a 4-pack of tickets to the April 28th game. Don’t for get to enter daily for extra chances! And also get an extra entry for each friend that enters through your referral link. (Check your email for details after you enter). 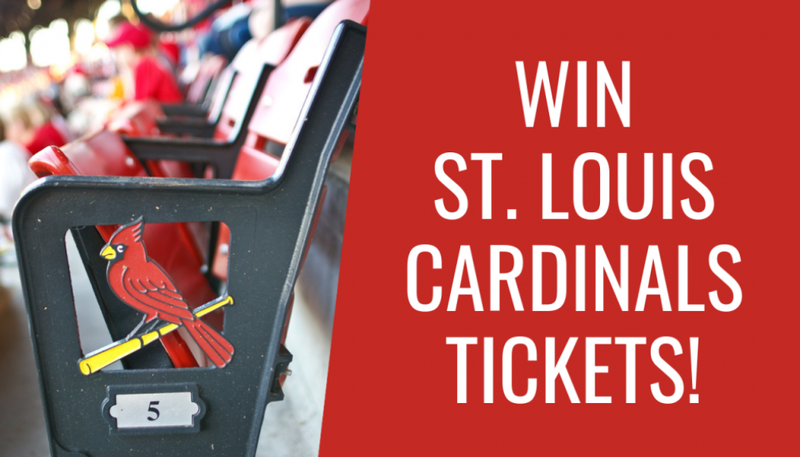 Joanna House of Perryville is the family 4 pack winner of Cardinals and Mets tickets this weekend! Enjoy!!! Congrats to the All You Can Eat Movie tickets from Marcus Theaters winner for March – Fred Schneider of Kelso!